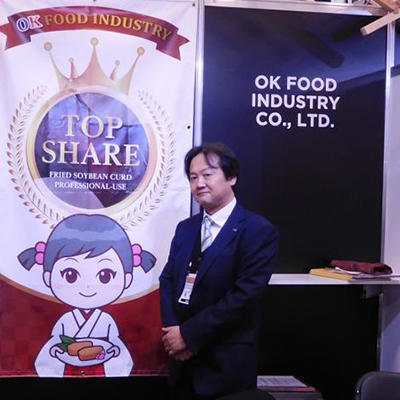 ﻿ OK FOOD INDUSTRY│Professional use top share fried soybean curd, Inari, Ajitsuke-sushi-age manufacture . For over 200 years, inari-sushi (rice balls wrapped in seasoned fried tofu) has been a staple for picnics and school events across Japan. This traditional cuisine enjoys popularity among both adults and children. 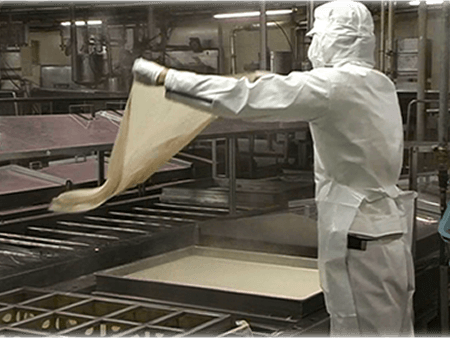 We at OK Food Industry have focused on manufacturing Inari-age (seasoned fried tofu wrappers) since 1967. Our company was the first in Japan to industrialize the production of traditional abura-age (fried tofu) using the “form-in-mold method”. As a pioneer and leading company in this industry, we strive to preserve traditional manufacturing techniques for our products. In response to growing demand, we built an additional factory in 2011 that employs the latest equipment for streamlined production. For the last half-century, we have continued to produce abura-age. In that time span, traditional Japanese cuisine, including inari-sushi, has grown in popularity around the world. 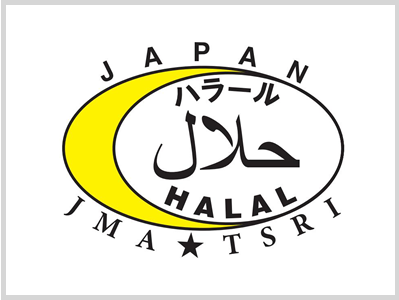 We acquired Halal certification from Japan Muslim Association in December 2013, and the first FSSC22000 food safety certification within our industry in 2014. 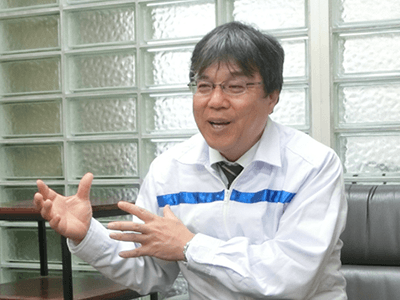 Going forward, we will continue to strive to manufacture and distribute our products with an emphasis on safety and quality, so that customers throughout Japan and around the world can enjoy them with peace of mind. About us focus on manufacturing quality products that customers can enjoy safely and with peace of mind. About us respect all people and their beliefs as we deliver the satisfaction and joy of eating. About us strive to maximize our company’s value to meet social expectations. Based on these 3 principles and our motto of “work sprightly, with delight and enthusiasm.”, OK Food Industry will continue seeking even greater levels of quality and safety as we deliver delicious products to our customers. Inari-age (seasoned abura-age for sushi), Kitsune-age (seasoned abura-age for noodle dishes), Abura-age (fried tofu), frozen shredded abura-age, ingredients for sushi, ingredients for Oden stew, Frozen Wagashi Japanese confectionary. While we strive to preserve authentic traditions and techniques for manufacturing Inari-age (seasoned abura-age for sushi) and Kitsune (abura-age for noodles), we also carry out ongoing research to adopt the latest technologies for linking the past with the present and future. Inari-sushi is a traditional Japanese cuisine that has captivated the hearts and minds of people throughout the world. We endeavor to stay abreast of worldwide trends to deliver product flavors, colors, and shapes that meet the needs of our customers. We also manufacture products that meet the special demands of certain customers, such as Halal for Muslims, and to comply with other food import regulations. We use non-GMO (Japanese Agricultural Standard: <5%) soybeans grown in North America. Through contract farming, we can obtain a stable supply from large-scale crops. In this way, we can ensure the consistent quality and volumes required for manufacturing our abura-age products. 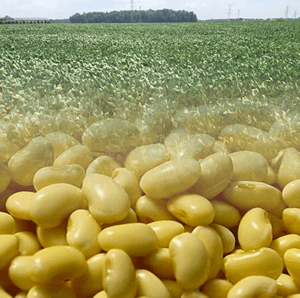 We also use non-GMO (EU standard: <0.9%) soybeans for certain products intended for the global market. We can assure the origins and traceability of our ingredients, and reports on residual pesticides are available for inspection. We have an in-house Quality Control Unit for ensuring product quality. We manufacture our products with confidence in FSSC22000 (Food Safety System Certification 22000) authorized factories. Click here for inquiries in English. 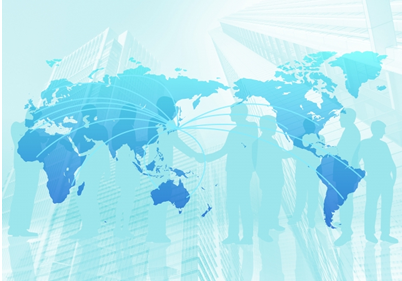 We have an Overseas Business Section with experienced staff that can support the various needs of our international customers. As we develop products intended for overseas customers, we visit foreign countries to survey local preferences and consult each country’s food import regulations. Our current product lineup includes Halal, GMO-free, MSG-free, and gluten-free items that are widely available in more than 20 countries. 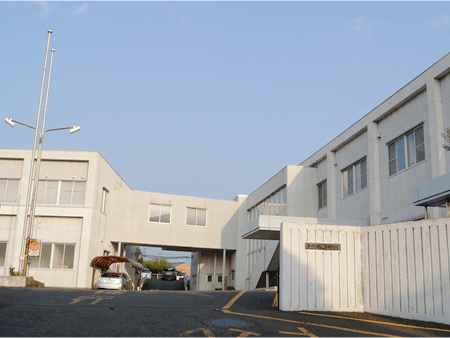 We have Halal-authorized production lines in our factories and three halal products are available: Abura-age, Inari-age (seasoned abura-age for sushi), and Kitsune-age (seasoned abura-age for noodles). These products are certified by JMA (Japan Muslim Association), which is the only body in Japan recognized by both JAKIM (Malaysia) and MUI (Indonesia). Our factories are registered with the United States’ FDA (Food and Drug Administration), and we have an in-house FSMA (Food Safety Modernization Act) compliance team. Our factories are also registered with South Korea’s MDFS (Ministry of Drug and Food Safety) to comply with special laws for imported food safety management. ＊Our company does not directly export products to customers outside of Japan. We indirectly export our products through trading companies in Japan and other entities with domestic financial holdings. Copyright(C) 2019 OK food Industry All Rights Reserved.